China is now establishing smart courts in all aspects and advancing integration of internet technology and judicial proceedings. Courts at various levels in China are working on transformation and upgrading of property surveys. 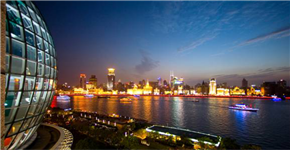 The Shanghai Declaration of the World Enforcement Conference, adopted on Jan 22, sets out international judicial officers' views on improving enforcement efficiency and quality. Copyright @ 2019 Supreme People's Court of the People's Republic of China. All rights reserved.Presented by China Daily. License for publishing multimedia online 05023036.